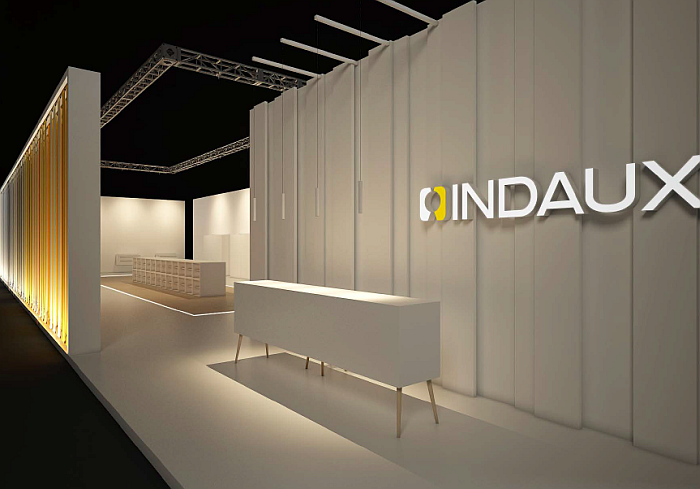 Indaux is going to Interzum 2019 with the aim to give a new boost to its identity as a flexible European product developer and manufacturer capable of putting its solutions into production to meet the needs of the furniture industry. 10.04.2019 From a more commercial point of view, the aim is to find and consolidate relationships with partners, which has been growing over the last two decades. For that reason, Indaux has opted for a closed stand design at Interzum (21-24 May), which creates a more welcoming environment and allows a more personalised service, receiving the visitors at the reception area where a salesperson will be allocated. The portfolio of products on the stand will be made up of some of the most successful solutions from the Indaux catalogue; such as the Traser 6 and Scarpi 4 anti-tilt hangers, the Komplet runner, the Delta X3 strut for supporting heavyweights, the Atlas system for suspended furniture and the eccentric steel clock, with a more competitive price but with identical performance to the Zamak version, and that was presented at the Interzum Awards. Junior Co: this is an additional kit for the Junior 6 runner which converts a cabinet to coplanar, which is furniture that when closed has the two doors in the same plane. The Junior Co means democratising the coplanar cabinet, and allows the distributors and fitters with stock of Junior 6 to give a turn to the cabinet by simply adding a small part kit. Indamatic Galant: this is a damping and closing system for sliding doors and drawers. 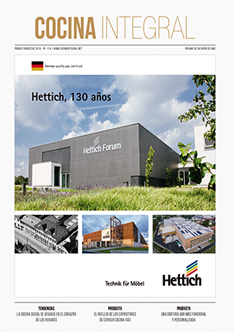 This can be adapted with different bodies to different solutions, special machining operations and new applications. Traser 8 anti-tilt: This is the latest of the modern hangers from Indaux which has the anti-tilt option. It is an invisible hanger that automatically actuates the safety mechanism on fitting the cover. Foldn: This is an update of the cabinet folding sliding door system, which has improved the sliding sensation by optimising the roller. A system that can operate with the bottom rail and without the bottom rail, and can convert into an opening system of a passage door. Mesuco 131 X Titanium: A hinge with a very up-to-date finish, to match the furniture industry fashion. The stand is located, as at previous events, in the Interzum Hall 8 and occupies one of the central aisles with stands C-31-C39.